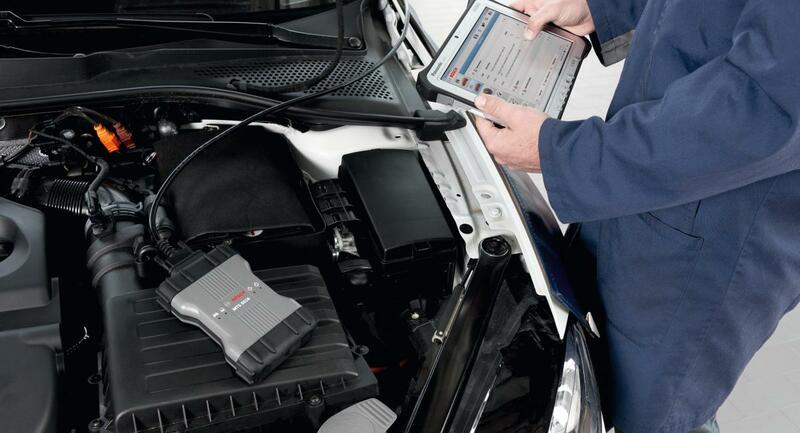 Bosch’s diagnostic solutions are pre-configured with your diagnostic software, manuals and recovery feature. Via an innovative cloud solution, the latest software is automatically distributed globally. With our experience in developing diagnostic equipment, successful deployment of over 500,000 devices for more than 25 OEMs globally, we support OEMs with tailor-made diagnostic solutions. The Bosch VCIs offer OEMs flexibility for current vehicle architectures as well as a growth path for the future including DoIP and CAN-FD. Bosch provides you with all services around diagnostic solutions ranging from tool development, authoring, and kitting to global order management, distribution and wide range of after sales services. Bosch operates a global service center network, which includes 13 regional repair centers. These regional centers support both traditional “return for repair” models as well as “advanced exchange” repair models. Bosch also operates first level call centers to support OEM dealership end users.